Nickel is a naturally occurring, lustrous, silvery-white metallic element. Nickel is highly resistant to various reducing chemicals and is unexcelled in resistance to caustic alkalies. Compared with nickel alloys, commercially pure nickel has high electrical and thermal conductivity. It also has a high Curie temperature and good magnetostrictive properties. 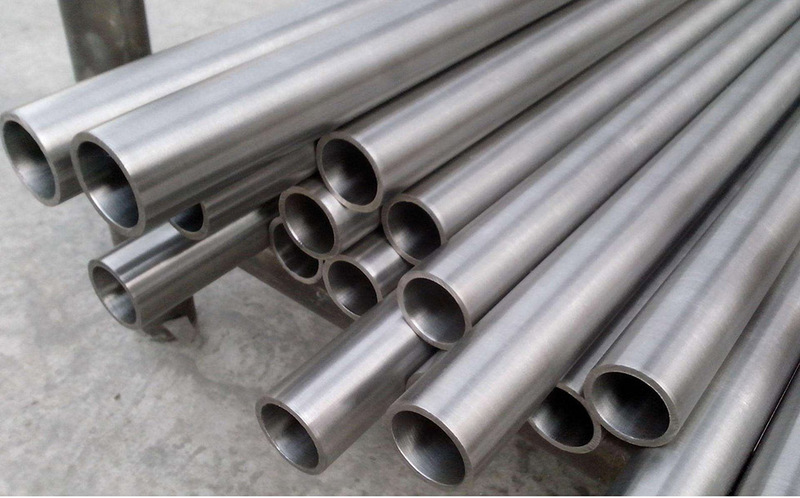 Annealed nickel has a low hardness and good ductility and malleability. Those attributes, combined with good weldability, make the metal highly fabricable, properties that allow nickel to be shaped into wire, rods, tubes and sheets. Nickel resists corrosion even at high temperatures. It can be electroplated onto other metals to form a protective coating. It can be alloyed with steel to make armor plate, vaults and machine parts. Nickel alloyed with copper make pipes that are used in desalination plants. Other alloys of nickel are used in boat propeller shafts and turbine blades. Nickel is used in batteries, including rechargeable nickel-cadmium batteries and nickel-metal hydride batteries used in hybrid vehicles.